In an Anurag Kashyap film, you’re kept at an arm’s length from the characters’ psyche and the choice of their actions. When Faizal Khan finishes off Ramadhir Singh in Gangs of Wasseypur (2012), the emotions evoked are somewhat mixed. Faizal finally gets his revenge, on the other hand, the end of Ramadhir feels saddening. Something similar happens when Definite double crosses Faizal after that. The grief is there, yet it’s hollow. 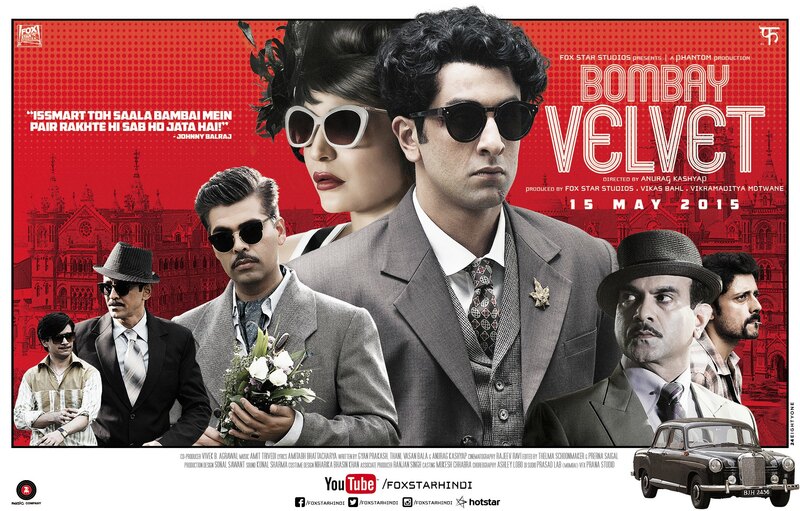 Bombay Velvet takes the same route to build up its protagonists. There are pointers to different parts of Bombay, the city, but not a single direct “15 years later” flashing on the screen when the mini versions of Balraj and Rosie grow up in a few flashes. Perhaps, the city is supposed to take prominence over the people that it’s made up of. But cities don’t breathe, laugh, cry or love, lust and long; the people do. The spotlight keeps shifting and shuffling between the city and its highly aspirational inhabitants. Balraj (Ranbir Kapoor) wants to be a “bigshot”, and has a Tyler Durden-esque underground fighter streak to him. Rosie (Anushka Sharma) covets a lot of things and is confused about the right ways of acquiring the said things. The city dreams of becoming India’s first metropolis. The city isn’t even complete, it still dreams of joining the seven islands. The city is run by Mayor Romi Patel (Siddhartha Basu) and his cronies. Kaizad Khambatta (Karan Johar) wants to be on the list of cronies, and a big share in the pie, that is Bombay’s ‘development’. Jimmy Mistry (Manish Chaudhari) is Khambatta’s ideologically opposed rival, who runs vicious attacks on the self-proclaimed capitalist in his newspaper. Screen time is distributed almost evenly between all four quarters, they’re built well. Only in a very dull and serious tone. Unlike how Kashyap films work. The humor is sucked out of the film to make space for cliched contrivances, impersonal romantic sequences and beautifully shot Hindi-jazz numbers. The first half sets up all its characters for major things to come, only they can be predicted a good ten minutes before they happen, every time, except for the dooziest con-job involving a bomb blast. Reliable actors are cast, thus ensuring conviction in the characters they enact. Satyadeep Misra as Balraj’s sidekick Chimman is restrained and calm. Ranbir Kapoor wears his hair like Terry Malloy in On The Waterfront, bears his ugly bruises as a champ, and makes good for a mean hack. Anushka Sharma plays the victimized artiste passionately, a stark contrast of Raveena Tandon’s Dahlia. Rosie is not a diva, she just plays one. Dahlia is a completely self-assured performer. If Karan Johar is going to pursue the acting gig further, I’m not sure if he can find a better character to play than Kaizad Khambatta. His character is perfectly tailor-made for him, he fits the suave, sophisticated, sinister shades, as well as his impeccably stylish suits do. There are real-life parallels referred to, only in subtle bits and parts. Manish Chaudhari tries hard to be the manic paper editor, and ends up trying a tad too hard. There are numerous references made/homages paid to the gangster films of Hollywood. Violence from Goodfellas, tommy-gun wielding from Scarface and then there’s Sonal Sawant’s brilliant production design that recreates Bombay in the 60s. Rajeev Ravi’s camera picks up every meticulous detail that Sawant gets in the frame. Amit Trivedi enthuses yet another stellar OST and riveting background score that outmatches the action on screen. The scale and stage of the film is so large, you wonder if it should hang in the balance by a flimsy screenplay, just how the future of the city in the film is going to be determined by a flimsy negative of a photo film. Not the best obtained output from all its entered resources, yet not completely squandered either. Far in the open classroom under the village sun, his teacher asks him who was Mahatma Gandhi’s wife. Braving the ire of his schoolteacher, the young boy has the audacity to answer “Rohini Hattangadi”. Does he know the right answer, maybe. Is he obsessed with the movies, aw-frikin-yeah. Only, this young boy is speech-impaired. 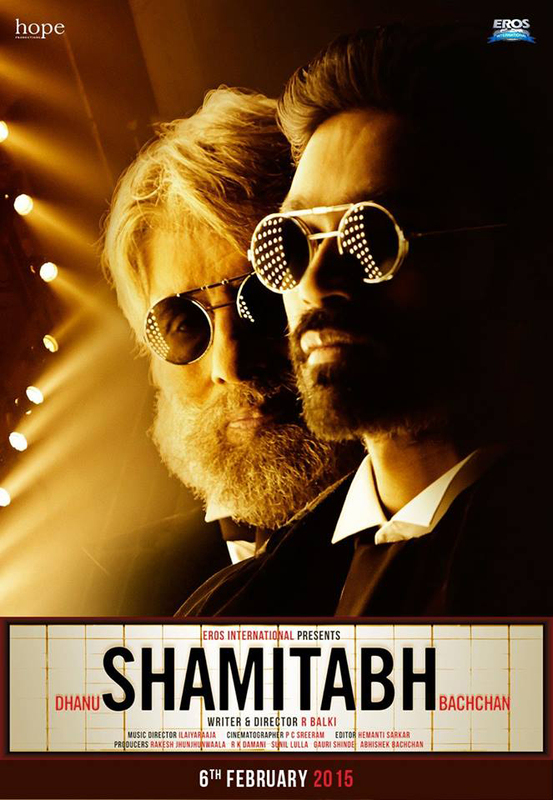 Shamitabh is built on eccentrics, theatricals and (somewhat) satire. Even in this universe, it’s difficult to get top star’s dates to make a film; the stars throw tantrums when they don’t get the attention they think they deserve. The scrawny Dhanush plays Danish, who romances the celluloid with all his senses. He’s reprehended at every step, constantly reminded that a person who looks like him can’t become a proverbial Bollywood Superstar. Even his ‘voice’tells him to have a look at himself in the mirror. The extremely affable goth assistant director Akshara (Akshara Haasan) plays his support plank. She knows of a particular speech therapy that can help Danish to overcome that one major hurdle that seems to be stopping him from all the potential greatness. In their search for help, they fumble upon a homeless Amitabh (Amitabh Bachchan) who also moved to Mumbai to pursue his acting dreams. The initial setup of Danish and Amitabh’s wizardry is charming to watch. There are inside references in the form of forced dance item numbers being devised to pull in the ‘masses’ for a film that is meant for the ‘classes’. Also, the film plays out as a self-descriptive depiction of the protagonist to a gathered set of media journalists, who clap even at the snidest of the usual boring condescending remarks which paint them as blood-sucking parasites. This is just one of the many forced narratives of this film. A clash of egos, which was imminent right from the start, takes place around the halfway mark. Danish and Amitabh share a love-hate relationship right from the start. Instead of making this confrontation of heads seem vicious, it’s all passive-aggressive. Everyone knows what passive-aggressive does. It just carries on and on and on. The innovative technological premise which is used to form the base of all conflict could have been perfectly suitable for a Broadway-esque metaphorical skirmish of the two strong-headed men. An easy excuse for all the constant-logging of heads could be that how even the bluest of collar wielding underdogs can let fame get to their head. But even that gets tedious to bear with with the developing stagnancy of the film. The film descends into an all out pestering attempt at going into an unnecessary overdrive of emotions. The emphatic individual performances of Bachchan, Dhanush and the surprisingly natural Haasan cannot salvage the overall film. The dialogue is part philosophical and part witty; out of which Bachchan scores the most ones. But he goes the extra mile with his portrayal too, it’s not just a change of wardrobe and hair here. Dhanush completes the transformation of a young, bhajiya selling film buff to a manipulative, suave megastar without ever uttering a word in his own voice. There is simply nothing to hate about Akshara’s character. How she prioritizes her choices and how she gels the two warring titular characters with her all-black determined gumption. There are portions which I loved, characters that I adored, and then there is the film that left me feel slighted. PS: The final rating was indulgently influenced by the beautiful picturization of the Ishq-E-Phillum number. Delectably assorted tiers of steel boxes, make their way from the homely kitchens to the hustling offices and other workplaces, with the dabbawalas playing the role of the messenger–a regular urban activity, is picked up by Ritesh Batra and he gives vivid roles to all the three parties involved. Where the dabbawala is the inadvertent cupid (in denial) between an unlikely couple. Ila (Nimrat Kaur) is a modern housewife, in need of validation from her husband Rajiv (Nakul Vaid) She gets the wanted and unwanted advice from the Deshpande Aunty (Bharati Achrekar’s voice) be it cooking or listening to endless cassettes from the 80s and 90s, they do it all together. In a bid to win Rajiv all over again, Ila cooks the most scrumptious meal she has ever cooked yet. On the other end of the spectrum, rather the receiving end, is Fernandes (Irrfan Khan) a bank employee working for the claims department for the past 35 years, and is about to retire in a month. He’s a widower, who smokes and watches TV while he’s at home in the evening. He doesn’t dole out free smiles either. Two common emotions between these disconnected characters is the longing for a loved one, in the absence or even the presence of that person. The tiffin packed with the spices and an effervescent letter becomes the ritual and what they bode on are the general changes in Bombay, their personal habits, their fancies. All of it, without seeing each other through the entire film. The actors deliver perfect emotions that resemble intimate moments, even in isolation. Siddiqui plays the enigmatic yet annoying newbie at the bank, Aslam. He keeps pushing Fernandes to the limit only to catch him off guard enjoying his tiffin. However, as perfect this film appears, I was baffled at the subsided treatment given to the fringe characters, like the co-employees at the bank, thus adding to inconsistencies with Fernandes’s character (with respect to what Aslam says he’s heard from the other guys at the bank). There’s a certain feeling of holding back, the cards seem just a bit too close to the chest. Perhaps more of these flaws get masked by Khan’s crowning realistic acting, Kaur’s timed insecure expression and the sheer delight of receiving yet another letter. If there’s a film about Bombay’s current face and its constant battle with overcoming nostalgia, it cannot be better than The Lunchbox. Ritesh Batra’s transitions are simplistically captivating. He takes the usual and turns it into fitting devices for the screenplay to forward. Shot on real locations with camerawork that resembles the same innocuous stolen glances which the characters share with the letters exchanged through the lunchbox, Michael Simmonds is impish as he delves into the character’s camaraderie with the same fringe characters, thus making them inclusive again. 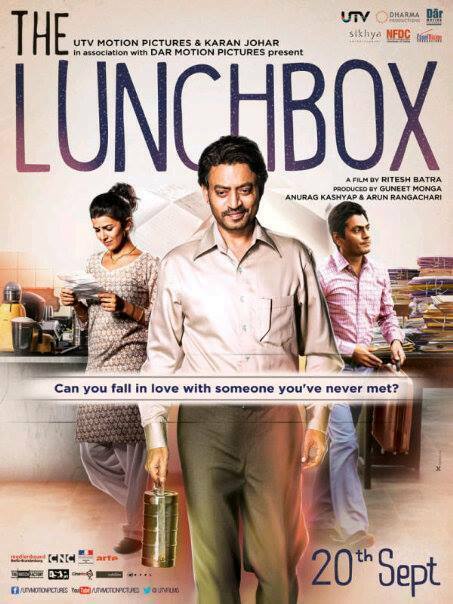 I don’t know about Oscar selections or National Awards, but The Lunchbox is as close as a film can get to your heart, even if no one uses a mobile phone in the entire film. It’s just food, Bombay and the memories here. 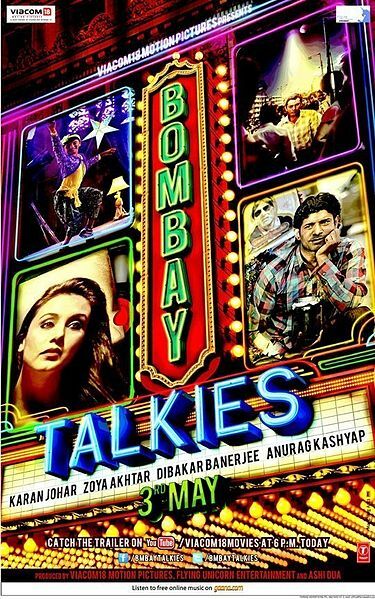 Cast: Kareena Kapoor, Imran Khan, Boman Irani, Ratna Pathak Shah, Ram Kapoor, Manasi Scott. Las Vegas, one of the most renowned cities for getting laid, broke and married is the place where our protagonists live, with their dreary jobs. Rahul Kapoor (Imran Khan) is an architect brought up to excel in everything that he does, may it be vanity or swimming or both of them simultaneously. His parents are quite a pair of two different humans as well, played by Boman Irani and Ratna Pathak Shah. Rahul is expected to get a gold medal that his dad has been yearning for. The beasts of burden have always haunted Rahul, he stays to be a bland and dull guy who often fumbles with his words. Rianna Braganza (Kareena Kapoor), a hair stylist by profession is the ubiquitous opposite of Rahul. They both seek psychological help, albeit for different reasons. That is where their paths cross & you start to think it is gonna be another What Happens in Vegas. Yes, they do get married, but they are on terms for its prompt annulment. The journey that ensues is a lot of fun, since they get married on Christmas. 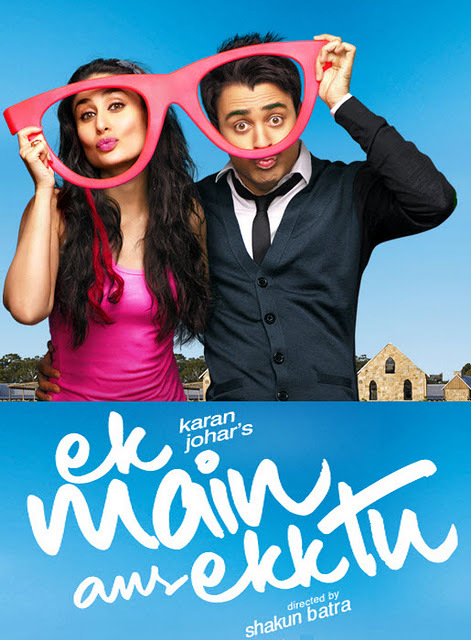 The film creates a bunch of refreshing situations: one where Rahul’s dad’s friend (Ram Kapoor) tries to help Rahul to get a bit ‘loose’, the date with Rahul’s ex-girlfriend. The story passes by at a steady pace in the form of days. Each day has a certain name attached to it. This rom com doesn’t make you cry, and still provides credibility. Peppered with not too imposing music by Amit Trived, the tracks remain hummable and easy to go on. I wish not to be killed for saying this, Ek Main Aur Ekk Tu has a new feel to it. It isn’t mushy nor intolerable. Director Shakun Batra attempts at a safe approach for a debut film, but doesn’t go down the tried and tested path all the time. He serves a dessert, that has a few different ingredients with the usual ones, making it scrumptious to eat while it lasts. Watch it for a delighting experience.